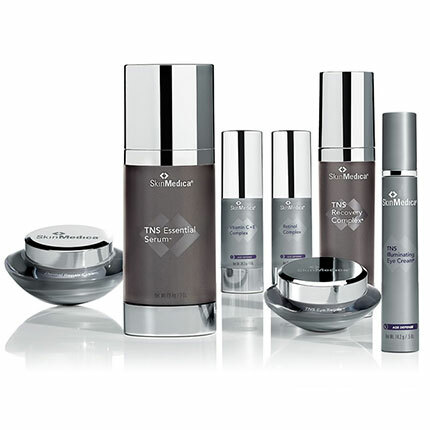 TNS Recovery Complex® from SkinMedica contains the key ingredient NouriCel-MD®, which rejuvenates sun-damaged and aging skin. NouriCel-MD is a mix of human growth factors and elements found naturally in the skin which reduce signs of aging. It is available in the form of Eye Cream, Hydrating Masque, Body Mist and Lotion.